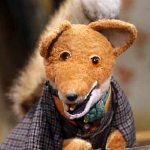 Basil Brush, a handsome fox if ever there was one, came to mind as I was spreading Agrissentientials ROK solid fertiliser on my garden beds. You only need to sprinkle it in Basil’s ‘woofle dust’ quantities – 50g per square meter. I think of it as a multi-vitamin for soil. It enhances a decent diet of compost and mulch, but doesn’t replace them. It’s one of the few soil enhancements that’s BioGro approved. I’d highly recommend sending a sample of your soil to Hills Laboratory annually for a test, including checking levels of organic matter. They’ll send you all the instructions and sample bags. At the very least do your own pH test to check the acidity of your soil. You can buy a test kit at most garden centres. Even if your soil has all the nutrients your plants require, if it’s the wrong pH (ideally between 6 and 6.5 for most vegetables) your plants won’t be able to access what they need. I’m digging some delicious leeks and potatoes at the moment so during a cold, rainy weekend, I made a couple of versatile, rich, cheesy leek and potato flans. Amazingly foxes were never brought to New Zealand, although why someone thought to tuck a couple of hedgehogs into their pocket for the trip I’ll never know. Thank goodness as there are enough other vermin to cope with. Mouse traps have been doing a roaring trade and the hare and rabbit tally is high. The damage they do to newly planted native trees is evident.